Truly the best use of Change.org I’ve seen to date. Sign the petition to make change happen! Definitely a hat tip to Mattv2099, who coined the term as far as I know. Glock brand Clipazine also works in place of Glockazine if you ask me. G’s up Trolls down, fo sho! Glock brand Glockazine fo life! Would this get around the “high capacity” magazine laws? 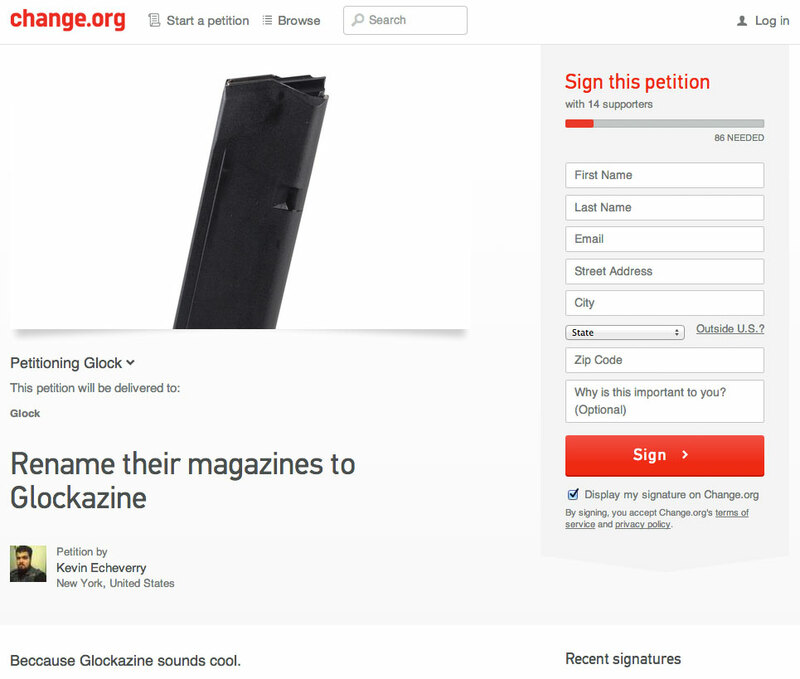 No sir I dont have a magazine….it is a glockazine. Now THAT’S thinking outside the box! 30 more sigs since you screen capped it, endo doin big things up in her’.